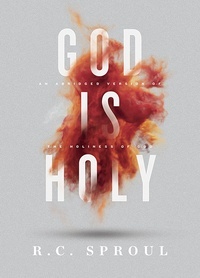 Save more when you purchase five or ten copies of God Is Holy. If you encountered God, how would you respond? Would you be overcome with joy? Fall down in worship? Or perhaps tremble in fear? In God Is Holy, Dr. R.C. Sproul explains who God is and why His unveiled presence is so terrifying. Against God’s pure and perfect righteousness, we see the depth of our sin and our inability to stand before His judgment. Yet the holy God is also a God of grace. He has provided a way for us to find peace with Him and boldly approach His throne. But there is only one way. Will you take it?